20 FebLaffCo. Is More Than Just Painting! Did you know that the experts at LaffCo. Painting do more than just paint walls? LaffCo. offers a wide range of services that complement painting projects. So…what else do we do? 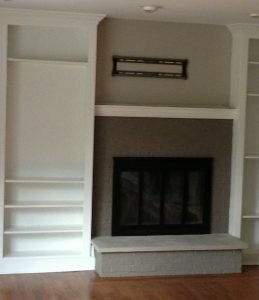 Trim (millwork) Installation – LaffCo. excels at installing baseboards, window casing, crown molding, and (our favorite) wainscoting. We also install new doors! 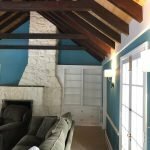 Wallpaper Removal – Nobody likes wallpaper removal – it’s difficult, tedious, and usually messy. Through many years of experience, LaffCo. will ensure your walls are paint ready! Power Washing – Our 3000PSI power washer will get your siding, deck, patio, and even your roof free and clear of mildew, mold, and dirt. Minor Electrical Repair – Why call a pricey electrician when LaffCo. can hang new lights, replace outlets, or put up a ceiling fan as part of a painting project? Plumbing Installation – As part of mini bathroom rehab projects, homeowners often want new faucets and toilets installed. LaffCo. can handle these installations along with the painting! 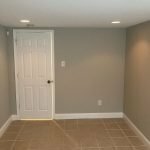 Drywall Installation and Repair – LaffCo. has done everything from whole rooms to simple patching of old outlets or return vents from HVAC work. Our quality is unmatched – you will never even know there was a patch! LaffCo. Painting also paints some unusual items that aren’t usually painted but can produce amazing results. This fireplace really works well in the new scheme. Kitchen Cabinets – Kitchen remodeling at a fraction of the cost. See this recent example. Tile – Tile can be painted with a special bonding primer. This is an economical way to update tile without replacing it. Furniture – LaffCo. can spray paint interior (end tables, dressers, beds, etc) and/or exterior (metal tables/chairs, etc) items and make them look new – or contribute as part of a remodeling project. 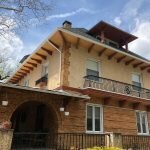 Brick – A tremendous new product from Sherwin-Williams, Loxon XP, offers color options plus water proofing protection in only two coats. Pretty amazing. Stucco – Elastomeric paint on stucco works tremendously and helps to fill in the gaps and waterproof your exterior. Brass Fireplace / Chandelier – Many homeowners are updating fireplace doors and chandeliers with black paint. This is a great way to update pieces which may not fit with your current design scheme. Wood Doors & Trim – There are no better results than taking stained wood and painting it white or off white. The process is labor intensive but the results are outstanding! Have a project in mind? Book a time for an online estimate today with LaffCo. Painting!